I read this article and found it very interesting, thought it might be something for you. 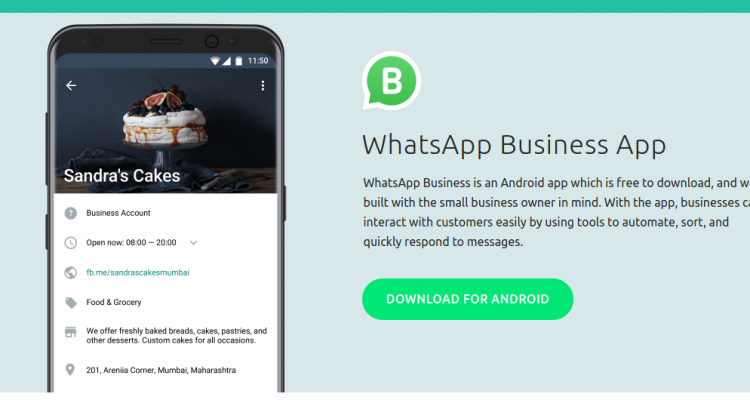 The article is called WhatsApp Business Desktop and Web apps add richer features for Businesses to interact with Customersand is located athttp://innov8tiv.com/whatsapp-business-desktop-and-web-apps-add-richer-features-for-businesses-to-interact-with-customers/. It’s been a year since WhatsApp launched a standalone app designed for small businesses to interact with their customers. Dubbed WhatsApp Business, the app is reported to now boast of at least five million business users. A new tool to organize and filter charts. The new Quick Replies tool, as it is called, enables businesses to respond to the most common customers’ queries with pre-written replies. It is more or less like what Facebook has on its Messenger service called Saved Replies that enabled businesses to respond to messages sent by customers on their Facebook Pages. A customer reaching out to a business via WhatsApp can trigger the quick replies by clicking the ‘/’ button on their keyboard. The Quick Replies feature joins other boatloads of features designed for WhatsApp Business including automated greetings that come up when a customer first pings a business WhatsApp number. WhatsApp Business also has away messages that let the business let customers know that they can immediately respond to their inquiries since they are currently closed, and gives them the time they’re likely to be open and respond to the messages. The other new feature on WhatsApp Business are labels and chat list filters. Labels enable businesses to organize contacts using labels, while chat list enables them to categorize the contacts. They can be categorized as either unread messages, groups, and broadcast lists. Both Quick Replies and Labels and Chat List filters were previously only available on the mobile app. With their introduction on both the desktop and web app, WhatsApp is making Customer Relationship Management (CRM) for businesses much easier. I think you will agree with me, typing on a full keyboard on a computer is much easier and faster than tapping on the on-screen keyboard on most smartphones and tablets. With more of the features available on the mobile app being availed on the desktop and web app of WhatsApp Business. Business owners now don’t have to deal with the inconvenience of turn to their smartphone every now and then, they can just do virtually everything from their computer.